Preliminary fall enrolment at Canadian Mennonite University (CMU) reflects an overall 3% increase in CMU degree programs, bringing anticipated Full-Time Equivalent for 2018/19 to 675. Together with a steady FTE enrolment of 286 at Menno Simons College (CMU's downtown campus), total registration for CMU academic programs 2018/19 sits at over 961 FTE. 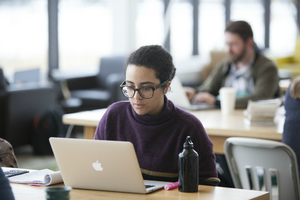 Seventy-five percent of CMU students are from Manitoba, evenly split between Winnipeg and other communities, while 13% are from other regions of Canada. International students comprise 12% of the student population, representing 30 countries. Final enrolment numbers will be confirmed in the upcoming weeks as registrations continue to be processed.